The Indiana bat has a head and body just under 2 inches long with a wingspan of 9 to 11 inches in flight. It has grayish chestnut fur over most of its body, a pinkish to cinnamon-colored underside and small, delicate hind feet. 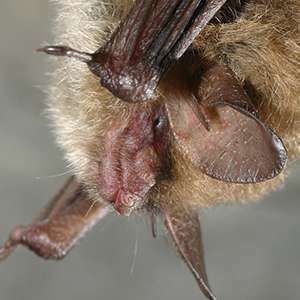 In the winter, Indiana bat colonies hibernate in caves and mines where the temperature remains below 50° F. In spring and summer, they are found in wooded areas, often under the bark of large trees. Reproductive females will form their own maternity colonies during this time. In the fall, the bats return to caves to mate and hibernate. Historically, Indiana bats were found across the central and eastern United States. In the early 1980s, the majority of the population was found hibernating in only three states. By 2007, the bat’s range had rebounded to include 19 states. 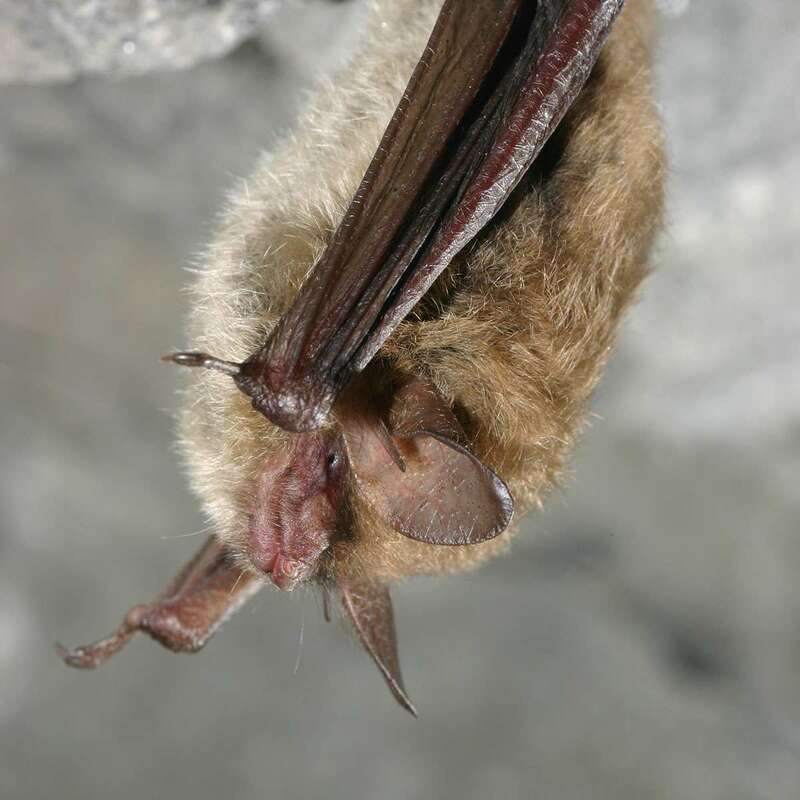 Modification and vandalism of caves and mines threaten the Indiana bat and its habitat during hibernation while the loss or degradation of forest habitat impact the bat’s survival in the summer months. In addition, white-nose syndrome has emerged as a significant threat to the species, leading to sharp decreases in population numbers in several states. Finding a cure for white-nose syndrome and stopping the spread of the disease are critically important goals for the Indiana bat’s survival. The bat’s recovery plan also includes range-wide population monitoring, the conservation and management of its winter habitat, and public education. Take action to protect Great Smoky Mountains National Park.